EXCLUSIVE NEWS – We at DrownedMadonna.com are happy to share with all Madonna‘s fans some juicy information that we learnt regarding the concert film of the Rebel Heart Tour and its premiere on Showtime on Dec. 9. But let’s get right to the point now! We realised that many of you are wondering if it is a documentary. So lets start with this…. No, it is not a documentary. It has nothing to do with True or Dare or I’m Going to Tell You a Secret. It is a concert film, which will include some behind the scenes footage as well. But how long is the Rebel Heart Tour film? We can reveal that the movie is 2 hours long. The teaser of the Rebel Heart Tour premiere on Showtime is in black & white. Is the Rebel Heart Tour filmed in black & white as well? No, we can tell you that Madonna’s Rebel Heart Tour film is in very vibrant colour. Some black & white will be seen in the film though. We already know that people in the USA can watch the premiere of Madonna’s Rebel Heart Tour film on Showtime. We have been told that it will be available on-air, online and on demand in the US and all Showtime’s partners. But what about the rest of the world? 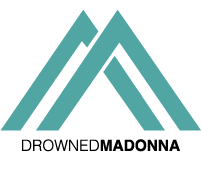 DrownedMadonna.com has learnt that the Rebel Heart Tour will be available in Canada through Bell Media. While, other territories around the world and other platforms still have to be decided. Finally, we want to point out that every DVD covers and promotional banners that you may see online at the moment are absolutely fake. We also remind you what we posted a few days ago. The DVD of the Rebel Heart Tour is not expected to be released before the end of 2016, according to what we heard from Madonna’s Italian label. Are you excited to watch the premiere of the Rebel Heart Tour on December 9 on Showtime? We can not wait any longer! Madonna Ciccone, an overlooked musician.